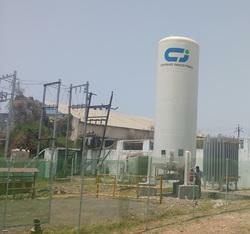 Vertical Cryogenic Storage Tanks for Carbon Dioxide and Nitrous Oxide. 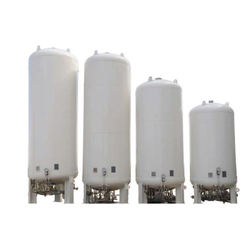 - Microbulk cryogenic tanks (120 to 2, 000 litres - 4 to 37 bars. We design, manufacture & supply Cryogenic Storage / Transport Tanks for LOX / LAR / LIN / LNG / CO2 for different industies along with High Pressure Ambient Vaporizer. To cater the variegated demands of our precious clients, we are highly engrossed in providing a qualitative Cryogenic and Pressurized Tank Calibration. This service is carried out under the stern direction of our skilled workforce who maintains all the quality standards prescribed by leading industry.